Two area men are facing charges related to a July arson in Milford. Mitchell Andrew Reynolds of Elkhart and Scott Noble of Syracuse, have been charged in the case, according to a news release from the Milford Police Department. On July 29, a house on S. James St., Milford, was heavily damaged in a fire. During an investigation into the cause of the fire, it was determined to have been arson. The Milford Fire Department was assisted by Warsaw-Wayne Fire Territory Chief Mike Wilson and Fire Marshal Joe Fretz in the investigation. The case was stalled until Kosciusko County Sheriff’s Department Det. Sgt. Shane Bucher developed “solid” information leading to the arrests of Reynolds and Noble, the release states. Bucher had been working on a rash of other area crimes involving the same suspects. 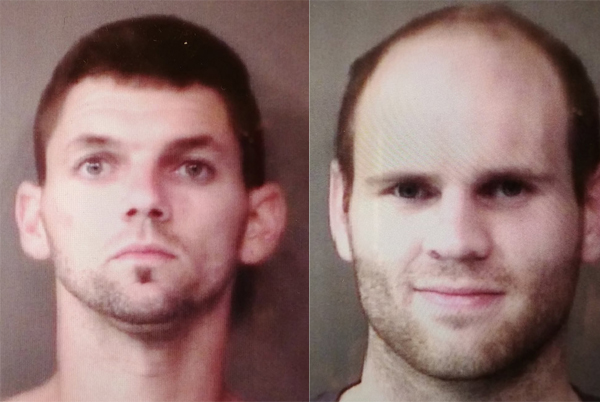 Reynolds and Noble were arrested in August in connection to a burglary at Deatsman Farms. The release states the case could not have been closed if not for the efforts of Bucher, KCSD, Milford Fire Department, Warsaw-Wayne Fire Territory, Noble County Sheriff’s Department and the Milford Police Department.